Munich - The majority of the FC Bayern Munich squad may be suffering in the northern Italian heat at the club's pre-season training camp, but for Luiz Gustavo, Dante and Javier Martinez the sun is providing a welcome respite at the end of a long and taxing season. The trio are currently on summer holiday following their participating in the FIFA Confederations Cup final in Brazil and they are not expected to report for club duty until 17 July. While the break is undoubtedly necessary in order to recharge their batteries, it is hardly the ideal preparation for another treble assault. They will only manage to cram in three weeks of training before Bayern’s Bundesliga opener against Borussia Mönchengladbach, while they will only have been doing the rounds on the training field for ten days come the German Supercup against Borussia Dortmund. By comparison, a large proportion of Bayern’s squad will have been working under new coach Pep Guardiola for six weeks when the Bundesliga season begins. 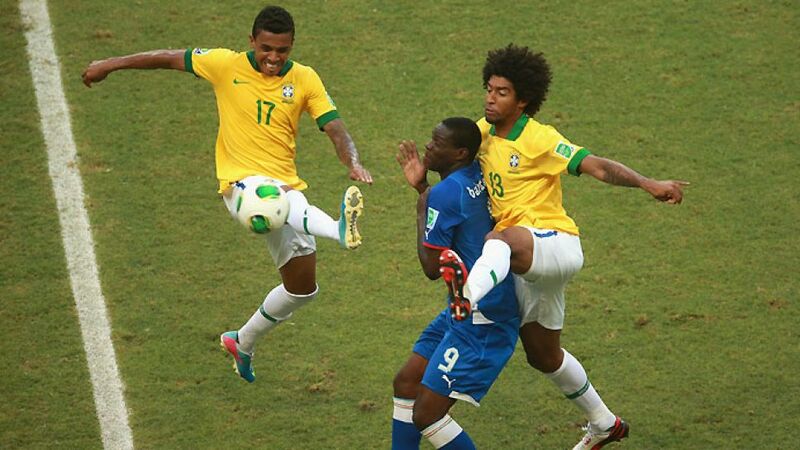 Indeed, history has shown that a heavy price is often paid after particpating at the Confederations Cup. For instance, Luca Toni never got back to his best form upon returning from the 2009 edition in South Africa, playing just four more times for Bayern before moving to AS Roma in the winter. Furthermore, Kevin Kuranyi netted just 10 goals in the 2005/06 season after his Confederations Cup participation in Germany - his lowest ever single-season goal tally. Such a drastic fall from grace is unlikely for any of the Bayern ensemble, but a tricky start to the campaign is certainly in prospect not only for three individuals, but for the Bayern team as a whole, especially as all three play predominantly defensive roles. With Bastian Schweinsteiger’s recovery from an ankle operation also starting to cause concern - he left Bayern’s training camp in Italy to undergo more physio and rehabilitation work in Munich - and with Anatoliy Tymoshchuk no longer on the books following his move to Zenit St. Petersburg, the options in that particular area of the team are limited. Indeed, Guardiola only really has two options should the trio not be deemed fit enough for the start of 2013/14: Either new signing Jan Kirchhoff could stand in, or the Catalan coach could throw an untested youngster into the fray. It seems he already has that in mind, with Rico Strieder and Pierre-Emile Höjbjerg having been deployed in the engine room in pre-season friendlies. Additionally, with Holger Badstuber still out injured, Jerome Boateng and Daniel van Buyten are the only other recognised centre-backs in the Bavarian captial. Possessing the ability to play in central defence too, it appears Kirchhoff could be set for a bigger role at Bayern than even he could have dared to dream of.